Hey there! Thanks for dropping by myaspiewife! Take a look around and grab the RSS feed to stay updated. See you around! You’ve ever gotten a text from your spouse like the one I got tonight, AND it makes perfect sense to you. ..
Any one else out there feel like they’re living I’m a sit com? 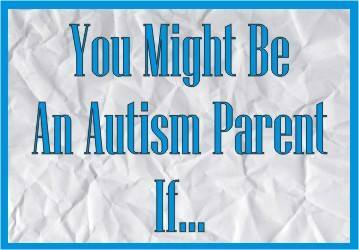 What Does Autism Spectrum Disorder Look Like? My journey to defeating Candida and promoting health and wellness using a mostly plant based diet. Our camping trip in British Columbia, Canada, including a drop down to Yellowstone National Park. Writings based on my realities, dreams, and wild fantasies. "Do something creative every day."